Members of the Farm Stay contribute millions to the rural economy and support each other to grow their businesses. Marie Claire Kidd finds out more about the unique business and community. They are co-operative, loyal and passionate, and despite huge changes in the hospitality industry, they are a staple part of farming – and their strength in numbers seems only to be growing. They are Britain’s indefatigable network of Farm Stay hosts – the farmers who welcome the public to stay in their farmhouses and learn about all things rural. The Farm Stay UK network is a particularly supportive one, for customers and hosts alike, and its success has been down to a variety of elements. Farm Stay is a co-operative owned by its 650 host-members and will soon open membership to customers. The quality of the accommodation is consistent due to the fact all Farm Stay branded sites are inspected by organisations recognised by Farm Stay UK. The farmers involved help each other and offer support with everything from the best way to make towels fluffy to the cheapest source of good quality mattresses. If they attend an event, Farm Stay hosts hand out literature not just for themselves, but for other hosts too. The organisation’s popularity and staying power has everything to do with resilience and mutual support. As it approaches its 35th birthday, it is adapting to changing and challenging times farmers are facing in the agri-tourism sector. Since it was established as the Farm Holiday Bureau in 1983, the way people book holidays, and what they expect when they get there, has transformed. According to ABTA’s Holiday Habits Report 2017, 83 per cent of holiday-makers now book online. 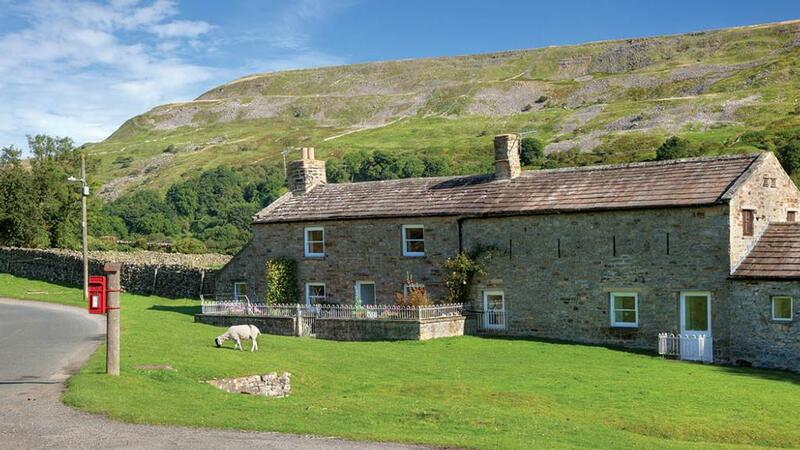 Gone are the days when the Farm Stay brochure was the only way to book a farm-based holiday. Now its website is key. It has attracted more than 850,000 visits in the last 12 months, with a peak of 4,000 over two days in January. Some customers still prefer to use the brochure, which goes out to some 30,000 people. Caroline Barker of Cundall Lodge Farm, near Thirsk, has been a Farm Stay member since 2000 and is one of Farm Stay’s 11 regional directors, looking after Yorkshire, Lancashire and Cheshire. She says: “There’s still a generation that likes to look through the brochure, then at the website. “Now is an unusually challenging time. The big boys, like Booking.com and Airbnb, are out there and they have massive reach and are very powerful. “We’re restructuring to keep up with the times. Originally it was a book that people paid for and now far more booking is done on the internet. As well as bed and breakfast and self-catering accommodation, Farm Stay now offers shepherd huts, Romany caravans, ecopods, yurts and teepees. Hosts are adapting in lots of ways, she says. 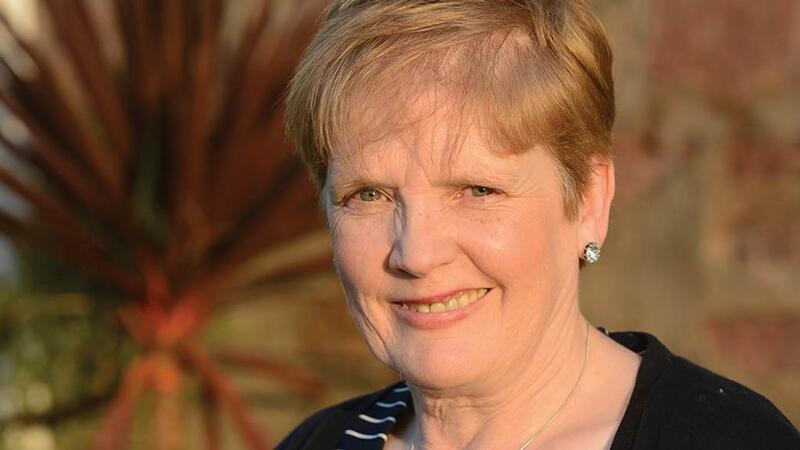 Some specialise in holidays for the disabled, others offer wedding venues, including Mary Pengelly, who runs self-catering cottages in Dorset and is chairman of Farm Stay UK’s board. licensed for marriage ceremonies and has a managed licensed bar. “As a co-op, our ethos is to support each other where possible. Agri-tourism isn’t just about accommodation. We also support members who have associated enterprises, whether that’s a wedding venue or a pop-up rustic restaurant on a farm. “We’ve got farm cinemas and quite a few members with cookery schools. “One complements the other. It’s about imagination and doing something with what you’ve got to add value to what’s there already. Business generated through Farm Stay UK is worth millions to the rural economy each year. The co-op is currently projecting an annual revenue of between £12m-£18m per year for its accommodation providers and associated businesses. While new trends have emerged, some things have not changed. Farm Stay’s aims are broadly the same as 35 years ago – to promote farm tourism in the UK, to help members with marketing and sales support and to help farmers diversify. It still works closely with national and local tourism agencies. Regional and local groups still promote co-operation and best practice. Members also still have the chance to meet at the annual conference and AGM. Last year’s event, at the Pavilions of Harrogate, included succession training and a number of talks and workshops on the latest trends in hospitality. This year’s event, in Salisbury, Wiltshire, will look at how Farm Stay is changing with the times. Mary says: “The future is exciting. It’s tough out there and there’s a lot of competition, from Booking.com and Airbnb, but they come with problems. “Our members are compliant, and they do all those quality things you don’t always see elsewhere. Bagging Peter Rabbit is quite a coup, but at the heart of the organisation lies the friendship and support between fellow farming and countryside families. They connect through the hosts’ Facebook forum, at meetings and events or just over the phone or by email. “It’s a community. That’s the nice thing about it,” says Caroline. “When customers say, ‘I stayed at a Farm Stay’, I can tell them I know them. “People think of other hosts as competitors, but they’re not. We would love to have the advertising budget of people like Booking.com, but we don’t. We have to work together instead. It’s a bit like all of farming – we’re competing on a big, global scale. Membership: Farm Stay UK has around 650 members all over England, Northern Ireland, Scotland and Wales. Finance: The co-op finances its operation through membership fees boosted, where possible, by income from sponsorship or advertising. There is no commission. All funds are used within the business. There are no dividends. tourism in the UK, to help members expand their businesses through marketing and sales support and to assist farmers in broadening their income through diversification. Awards: Farm Stay UK has won the Tourism Society Award in recognition of its contribution to UK tourism, a “Catey” Award from Cater magazine, and most recently the People 1st, Women In Business Award for the support and training provided to its accommodation owners for personal development. Rosanne Mackay, a former nurse, runs a Farm Stay six miles from Inverness. Leanach Farm overlooks the Culloden Viaduct and Nairn Valley and is close to Culloden Battlefield. It is a 400-acre working farm with 500 sheep and horse livery stables. I’ve been a member of Farm Stay for more than 30 years. When I started doing bed and breakfast, it was a form of farm diversification. “Having a young family, it was something I could do from home. I didn’t think I’d still be doing it now, but I enjoy it. “It’s a different experience for many people, in that they’re out in the countryside, sampling the best of local produce. I think they’re getting the best of hospitality as well. “It’s a bit of country air for some people who haven’t sampled much of that. “My husband does sheepdog demos for guests. That’s one of our selling points. Another is the quality of the breakfast. We’re getting local meat, local produce and local fish as well. “We try to give people a good service and we recommend local restaurants that do good, locally-sourced food. We encourage people to use them and they recommend us too. “Customer care is so important. If you don’t look after your guests, they won’t come back. We get a lot of repeat customers. “Once customers find Farm Stay they tend to stay loyal. The properties on offer are so diverse, and the whole idea of a co-op is good. “It’s been good fun for us, I obviously get business from it and you make a lot of friends when you go to training meetings or the conference. We’re a bit of a family really.